As we approach the World Pangolin Day on February 18th, I recall a recent visit to a village called Namdu, which lies 30 km east of Charikot, Dolakha on the way to Jiri. The village is home to the Baiteshwor Higher Secondary School. It is surrounded by 30-40 scattered houses on the left of Lamosanghu-Jiri road. On our visit to the place we showed a picture of a wild animal to students of that school and asked if they have ever seen such species. Some of us may not have seen it for real, but not those students. The students were familiar with the small mammal because they have seen it in their villages. Interestingly, they also knew how it behaves. It was the end of June, just a few days after the monsoon. The foot trails were slippery. Excited by the response of those students, we didn’t stop to explore the forest and farms around the village. Hundreds of burrows and other signs were discovered. Sadly, none were recent ones. In fact, burrows are the most reliable signs that indicate those species live somewhere nearby. On our three-day stay, not a single fresh burrow or any other signs of the species students of Baiteshwor Higher Secondary School were familiar with was found. Namdu is only one of hundreds of villages in Nepal which hosts pangolins. 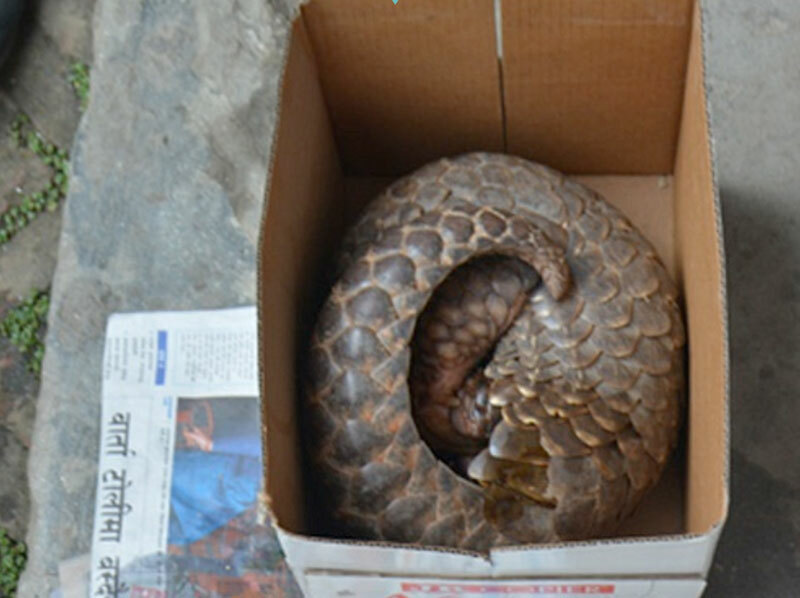 People are aware that pangolin is a protected species in Nepal and its trade is a punishable crime. But, interestingly, no one has been arrested by enforcement agencies in the region for poaching and trading pangolin and its body parts. 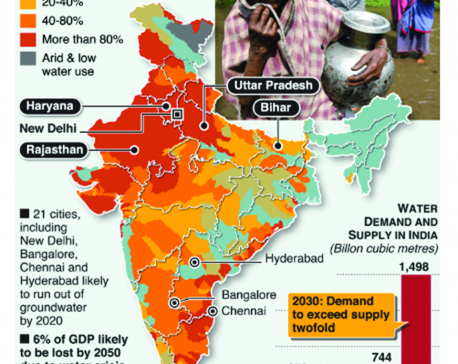 This indicates that it’s not only a limited public conservation concern; it’s all about incentives. Pangolins are ant-eaters. So they have their own ecological value for obvious reason. IUCN red-list and CITIS Appendix has no meaning to the villagers. They are only concerned about what they gain if they conserve pangolins. We do not have convincing answers to the communities neither does the government or any conservation agency.